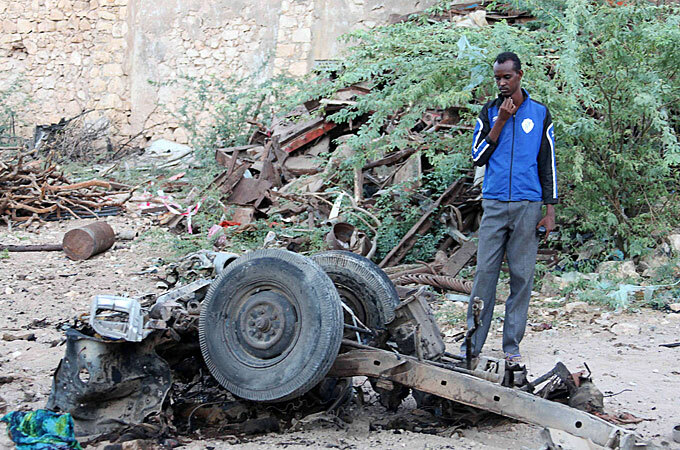 A suicide bomber drove a car bomb into a hotel that houses African Union and Somali troops on Monday. The attack was followed by heavy fighting. The number of fatalities and injured is unknown at this point. The attack follows a different attack on a military convoy also on Monday that claimed the lives of four Somali soldiers.